Sophomore guard Kobe Magee works on drills with senior Paul Thomas during the basketball pre season showcase at the Don Haskins Center on Wednesday, Oct. 10. 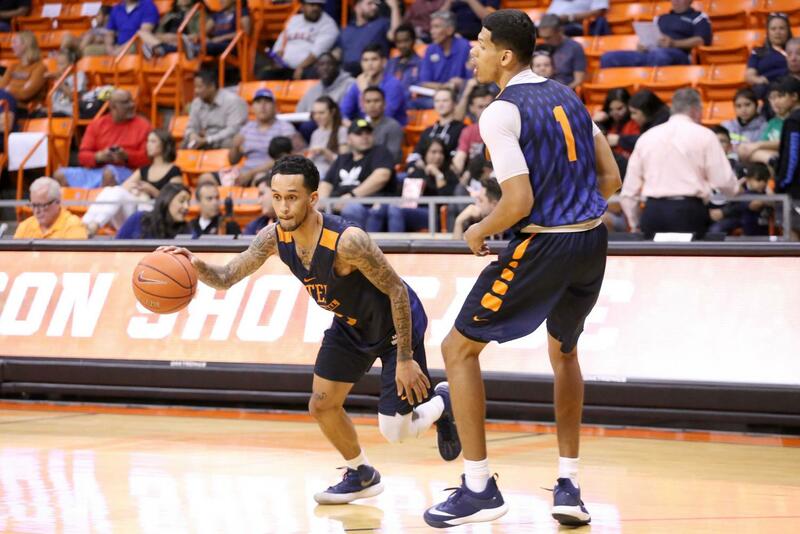 The UTEP men’s basketball team will face its first road test of the season when head coach Rodney Terry’s team travels to Las Cruces, NM to take on the New Mexico State Aggies in the Battle of I-10, Friday, Nov. 9. “It’s it’s an opportunity for us to get better early in the season against a quality opponent on their home court,” Terry said. 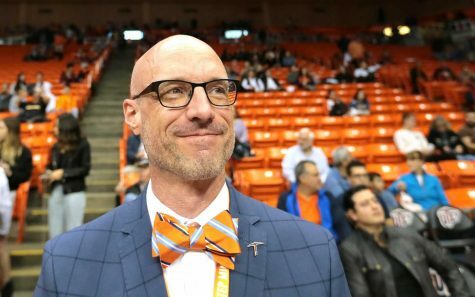 This will be the 216th contest between the schools, the Aggies (1-0) have won seven straight against UTEP (1-0) dating back to Nov. 2014, the last time UTEP won a game at the Pan American Center is in Nov. 2010. This will be game one of a two-game series against the Aggies. The next matchup will be on Wednesday, Nov. 28 at the Don Haskins Center. Currently, the Aggies lead the all-time series against UTEP, 112-103. “Obviously we have a lot of respect for their building and what they’ve been able to do in terms of their home court, you got to go in and compete for 40 minutes at a very high level against a team that we know is going to compete at a very high level as well on their home court,” Terry said. In the season opener against UT Permian Basin, Terry started two freshmen in his starting five, a first since 2011-12, forward Efe Odigie and guard Jordan Lathon. In addition, freshmen forward Kaosi Ezeagu came off the bench and was a spark plug defensively and offensively. The trio combined for 39 points, the second-most combined points ever by UTEP freshmen in a season opener since 1977-78. Odigie made his Miner debut a notable one scoring 23 points and grabbing nine rebounds in 19 minutes, Odigie tied the most points ever by a freshman in the season opener. Ezeagu had 10 points, nine rebounds while blocking two shots and Lathon led all Miners with 10 rebounds while adding six points. Paul Thomas the lone senior on the squad, is preparing his younger teammates about the hostile environment and the team they are facing Friday night. 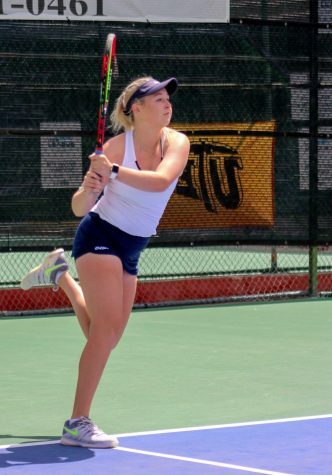 UTEP is currently utilizing a seven-man rotation, besides the three freshmen, and Thomas the rest of the rotation are sophomores. One transfer forward in Gilles Dekoninck and the two returning letter winners in guards Evan Gilyard and Kobe Magee, the backcourt duo each dished out five assists in the Miners season opener. Gilyard led all Miners with 24 points and Dekoninck added 14 points off the bench. NMSU defeated North Dakota State, 73-56, in their season opener. Redshirt senior JoJo Zamora led the team with 16 points in 19 minutes. NMSU played with an 11 man rotation with only two players going over 20 minutes. UTEP battles NMSU tomorrow at the Pan American Center, tipoff is scheduled for 7 p.m.